When a person is fully conscious, he or she is enlightened. As we evolve and our senses respond to a higher frequency, we also respond more ‘faith-fully’ to the light of our soul and to our intuitive abilities. Enlightenment is freedom from illusion. As we continue to evolve through responsible choices, we contribute to the evolution and enlightenment of all humanity. As our personality functions in the world, in ways which allow us to gain back ageless wisdom, we begin to recognize illusion and see how it works. We are able to live within the illusion, but not be affected by it. Have you ever noticed how you feel when in the presence of a truly enlightened person? Amazingly powerful, is it not? The enlightened have this effect on others because they can see the illusion, but no longer live trapped behind its veils. Their essence-light pours forth over everyone present. We feel engulfed by their electro-magnetic fields and get high, energized and inspired by them! The veils of illusion are real. They do have physical form. Just because the physical eye can’t see it, doesn’t mean it does not exist. Can we see the air around us? No. Does it exist and affect us? Yes. The enlightened ones have dropped the veils of illusion from their auric fields, because they no longer put energy into them. 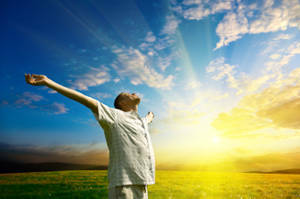 The energy that is freed up can be re-channeled into a higher purpose.